Now I ain’t sayin’ she a gravedigger, but I am. Before we begin, you should know that I like girly things. I played with dolls growing up, I wear dresses, and I even post makeup tutorials online. Sure, I don’t exactly get thousands of hits like my competition, but I do have some followers. One thing that makes me different from all the other girls, however, is my job. 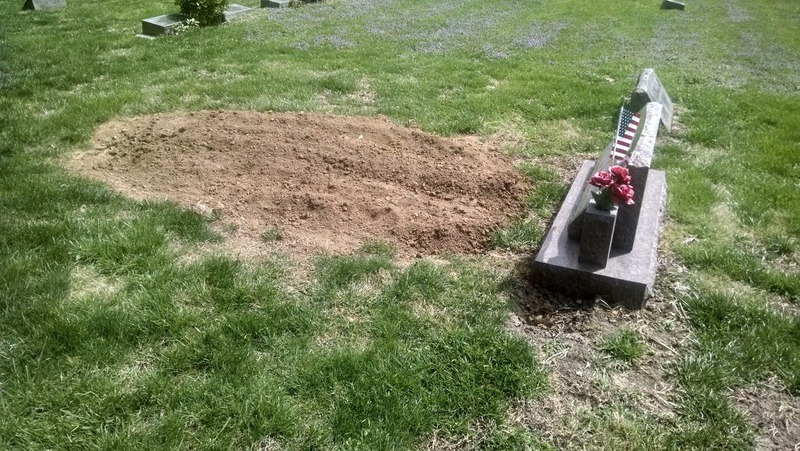 I really am a gravedigger; that wasn’t just a song lyric. I’ve been doing it for a few years now, and there are not current plans to look for something else. I’m a simple girl who lives in a small, two-bedroom apartment in a good neighborhood. Of course, I spend money on makeup, but other than food and utilities, that’s pretty much it. I don’t go out to bars and drink myself under the table, I don’t shop for fun more than the average person, and I always buy off brand. I’m pretty sure they’re manufactured in the same factory, so why the hell not? I also didn’t go to college—by choice, before you start judging me—so I’m not overwhelmed by a mountain of debt. People think my job is disgusting, and that it’s reserved for men...or dykes. Yes, I hear that word a lot. It’s offensive, outdated, and y’all need to stop usin’ it. People die in movies all the time, and you often see a gravedigger in the background, reverently waiting for the survivors to make their final goodbyes. But people don’t make movies about us, because it’s not particularly dignified or interesting. I chose it because I get to operate heavy machinery and listen to music all day. People don’t bother me, and in fact, don’t usually notice me because they’re preoccupied with their loss. I have a boss...I think, I don’t ever see him. But for the most part, I work alone and do things my own way. I could sit here and tell you that it’s an honor to send the deceased to their final resting place, but I honestly don’t really give it much thought. I don’t see the death itself. If I’m around during a service, the casket is closed by then, and it’s pretty easy to disassociate myself from it. I’m not cold-hearted, or a sociopath, or anything. I’m just not as exposed to as much as you might think. Cemeteries are beautiful places, full of flowers and shady trees. Ours even has a pleasant fountain near the entrance. I try to do my work when no one else is around, but I gotta get this grave dug. The guy was murdered recently and there were apparently some clerical complications that prevented his body from being released immediately. His story is the polar opposite of the man whose grave is being visited while I’m working. He apparently died while trying to protect his girlfriend, but today also marks the one year anniversary of the Neverland Killer’s demise.